Whatever the period, politics remain an active topic. On television, radio, newspapers, websites..and even on social networks. How to prevent your Facebook Timeline from turning into a place for political debates? Here's a small tool that will allow you to remove political posts out of your news feeds. UnPoliticMe is an extension of the Chrome browser that filters your Timeline. Simply install it, enter the keywords to create a black lists and let the extension do its job! Political texts and photos are deleted and replaced by other pictures. 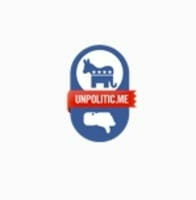 Download Unpolitic.me for Google Chrome. Published by deri58. Latest update on March 1, 2013 at 04:47 AM by deri58. This document, titled "UnpoliticMe: Delete political posts from Facebook Timeline," is available under the Creative Commons license. Any copy, reuse, or modification of the content should be sufficiently credited to CCM (https://ccm.net/).